Russian political experts questioned by Postimees do not believe that Estonia’s decision to deny Russian sailing vessel Sedov entry into the country’s territorial waters will cause an upcoming meeting between the two countries’ presidents to be canceled, while it is held likely President Putin will raise the issue. Expert at the Russian International Affairs Council – one of the founders of which includes the country’s foreign ministry – Oleg Timofeev did not believe the ban handed to training vessel Sedov could cause Russia to refuse the meeting in Moscow that is scheduled for April 18. Former official of the Russian administration, political scientist Andrei Kolyadin said that the case of Sedov lends strength to those who are against improved Estonia-Russia relations. “It might do damage on the higher level of talks, but we cannot say it will for sure,” Kolyadin said. Timofeyev said that Estonia’s decision does follow certain political logic in light of EU sanctions (in connection with Crimea) but said he believes the country could have found a different solution: for example, in not allowing sailors who have Russian passports issued in Crimea to come ashore. “If we understand why another country does something, even though it is unfriendly toward us, we can be tolerant, but I cannot see the benefit in this case. The incident is hardly worth the paper the news is printed on, but it gets blown up before the meeting,” Timofeev said. 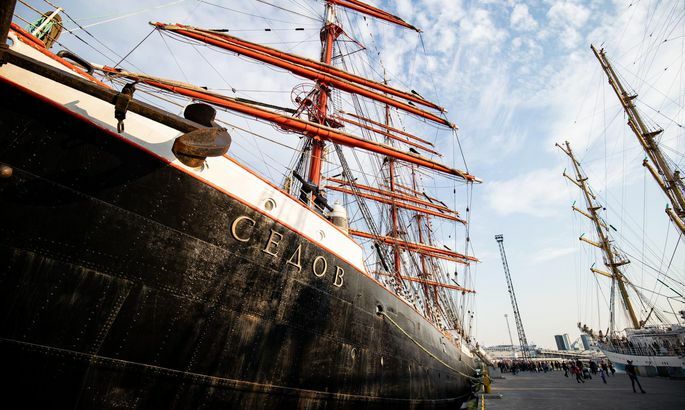 The Estonian foreign ministry explained that Sedov was not granted entry because information available to the ministry suggests it is carrying students of the Kerch State Marine Technology University of Crimea. “We find that giving the training vessel permission to enter would clash with the policy of not recognizing the annexation of Crimea,” the ministry’s press representative Sandra Kamilova said.